In the 1990s, destructive logging and an unresponsive forest industry prompted protests, blockades and international market campaigns from Greenpeace and others. There is a fabled quote from those days where a logging executive says, "No one wants to buy a 2 x 4 with a protester attached to it." This defined the problem: how do we reinstate the social licence to operate and log in a place that is world-renowned for its forests? I have a saying: when you have a knotty problem, widen the circle of brains working on it and see what happens. Often this means collaborating with others that have seemingly divergent interests. But solutions will undoubtedly emerge. The market for wood and paper products is fiercely competitive these days. With a shrinking demand for paper products due to digitalization, changes in market demand due to events like the U.S. housing crisis, and growing global wood fibre players like Brazil and Russia competing with Canadian forest products, companies must walk a tightrope through this landscape to succeed. Governments and forest companies often work together to ensure the profitability of the forest sector in their countries and provinces. Case in point: when the U.S. housing crisis began in 2007 and gained momentum in 2008, forest companies and the British Columbia government rolled out a strategy to reduce reliance on the U.S. housing market and diversify through an aggressive campaign to grow the demand for wood products in China, and more recently in Japan and India, for home and building construction. And it is working. Market diversification for lumber matched with a weak dollar and a slow recovery in the U.S. housing market has meant that the B.C. forest economy is rebounding. This is what happens when you widen the circle to solve a knotty problem. There is another interesting thing that happened in B.C. In the 1990s, destructive logging and an unresponsive forest industry prompted protests, blockades and international market campaigns from Greenpeace and others. These led to reputational risk and brand damage, with major wood and paper buyers cancelling their contracts or steering clear of products from the region. There is a fabled quote from those days where a logging executive says, "No one wants to buy a 2 x 4 with a protester attached to it." This defined the problem: how do we reinstate the social licence to operate and log in a place that is world-renowned for its forests? 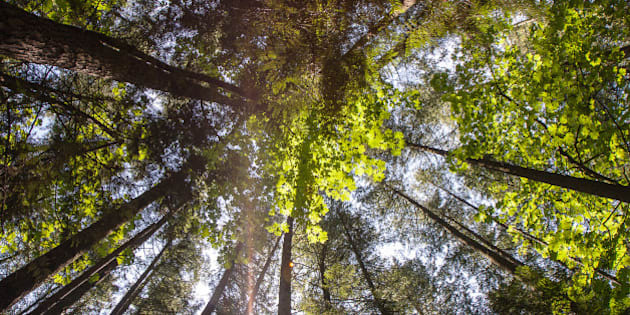 It began with a coalition of environmental organizations, led by Greenpeace, and an alliance of forestry companies to form the Joint Solutions Project (JSP) as a means to collaboratively work toward solutions. Today, industry, the B.C. government, First Nations, companies and Greenpeace all support 50 per cent conservation of the region and are committed to finishing the job this year. British Columbia's Joint Solutions Project is just one example of how different parties with a vested interest in a successful forest industry and healthy forests can come together to solve forest problems. Another excellent example is the Forest Stewardship Council (FSC) certification system. In the late 20th century, governments were touring the world touting the environmental sustainability of their forest regulations, yet their legislation had no environmental teeth. At the same time, protests and boycott campaigns were forcing some logging companies to begin voluntarily enacting better practices, yet there was no way for customers to verify if these voluntary actions were environmentally sustainable. Very quickly this became a problem for everyone involved. Environmentalists wanted the marketplace to recognize good behavior as a means of growing the green product market. The forest industry realized that even if they did the "right thing," they weren't credible enough on their own to be rewarded, and measurements of success weren't consistent. Indigenous communities were being left out of decision-making on their lands. And, globally, consumers were waking up to the need for forest protection and greener forest products. The solution? Those involved put their heads together and created an internationally recognized independent forest verification system that would meet the bar for environmental and social responsibility. As a result, the FSC certification system is the only credible mark of responsibility because it was created and continues to be governed jointly by the forest industry, environmental organizations, including Greenpeace, indigenous groups and civil society. It is these kinds of early adopters of solutions-based collaboration that the rest of the forest industry, governments and others are looking to for solutions to forest-based conflicts in other parts of the world that is creating reputational and economic risk. It is imperative that there be public leadership on forest issues in Canada. As energy projects take more and more prominence in Canada's forest regions, unless the forest industry can demonstrate its ability to innovate and shift quickly to meet changing global demands, it will be left in the public policy dust, condemned to a slow decline and risk becoming obsolete with a rusty chainsaw in hand. That is the knotty problem of the forest industry today that requires more brains and more collaboration. Greenpeace has been holding out its hand across the aisle to the forest industry for many years. While some have been scared, they have nevertheless taken up with us to collaborate. Ask them and what you'll hear is that it's been worth it, both in terms of brand value and marketplace certainty. See for yourself. Greenpeace's Forest Solutions report offers an insider's look at our collaborations in forest regions around the world.